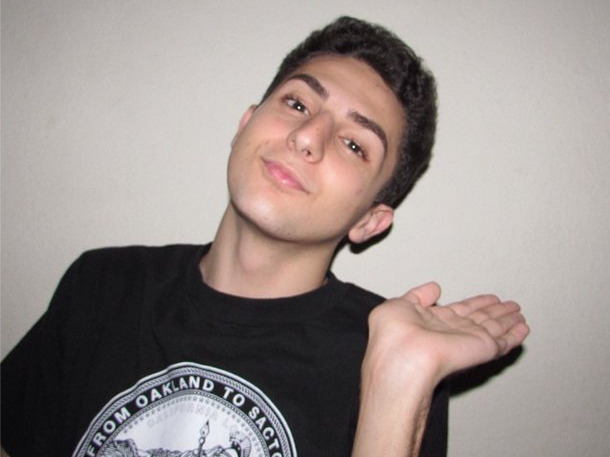 19-year-old Issa “Twaimz” Tweimeh has been a die-hard fan of YouTuber Shane Dawson for years. With more than 6 million subscribers, 1 billion views, and a brand-new movie, Dawson is a favourite in the YouTube community. Last year, Twaimz went to VidCon, an annual conference for YouTube creators, and waited in line for more than four hours in the hopes of getting a chance to meet Dawson. When he finally got to the front, he presented Dawson with a picture he had drawn of the YouTube star’s dog. Dawson loved it so much that he gave Twaimz a shout-out at the end of his next video. In April, Twaimz created a YouTube account and started uploading videos about his life. In the seven months since then, he’s accumulated more than 255,000 subscribers and 5 million views. He’s now being represented by YouTube network Fullscreen. He says fans have started recognising him in public, too, following him in groups around the mall and saying hi to him on the street. Twaimz and his family are still adjusting to his newfound fame. He’s also learning how to use his channel to get a message across — he recently uploaded a video about why it’s wrong to use the word “gay” as an insult.